That little stick, pedal or *sigh* button that puts on the brakes that hold your car in place...or should...when you leave it? Yeah, its called the parking brake. 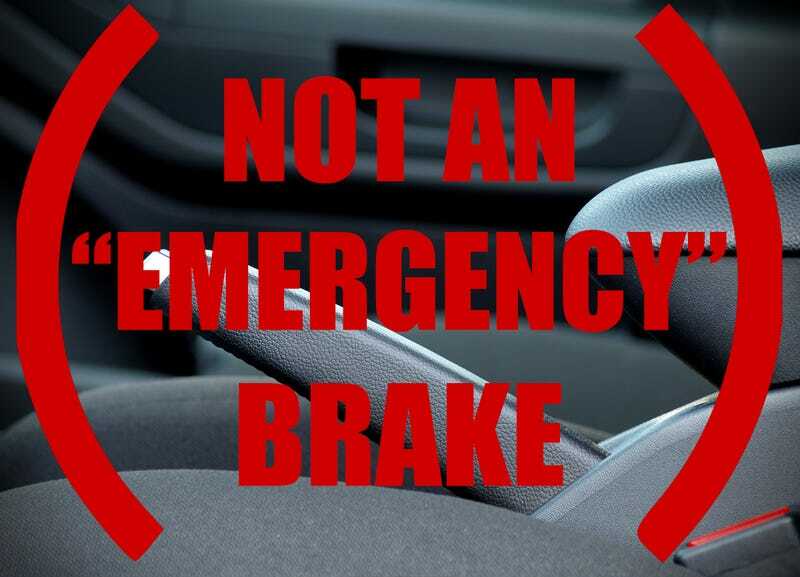 Its not the “emergency brake” or the more quick to say “E-Brake” its a parking brake. Also acceptable - Hoon lever. I can’t stand it when people call it the e-brake. Its a failing of mine I guess but there it is. No, its not for “emergencies”, that’s what having federally mandated dual brake circuits are for. Its a parking brake...for parking and “other activities”. Sure, go ahead and try it in an emergency, why not? its an emergency after all...but that’s not what its mean for.